If you are looking for information on the Floor Restore franchise business opportunity, Floor Restore franchises or Floor Restore franchising, then you have come to the right place. 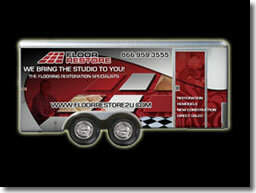 Fire, Flood, or New; We bring the Studio to You! A business you can afford. No matter how depressed the economy gets, there will always be fires and floods. Come be a part of the most unique restoration concept ever developed for the franchise market. Restoration is the process of restoring a home or structure back to its original condition after a major disaster such as Fire, Flood, Hurricane, Tornado, Burglary, and much more... You will be responsible for going into the home in its damaged condition and assessing the flooring for Like Kind & Quality. You will be working hand in hand with professionals in the Insurance and Restoration Industry as the Flooring Specialist whom consults and replaces or repairs the damaged flooring bringing it back to its original state. We Will Train You! Upon graduation, you will know the ins-and-outs of Flooring and the Insurance Industry. Can I Support My Family? Yes you can! This business has been tested and proven successful. If you are willing to commit, we will be there to help you succeed. You will be bringing the mobile studio out to the site of the Insurance claim allowing the Homeowner to choose samples right in the comfort of their own home. Worried about running a business? Do you not know how to do all that a business requires of you? Concerned about affording staff? We can handle it all for you. Floor Restore Corporate is equipped with a Receptionist staff to handle your customer Phone Calls, Scheduling, Dispatching, and General Questions. In addition, we also maintain an Accounting Department to perform your Bookkeeping, Receivables, and Collections. The best part of it all ... you can get these services handled by professionals for a FRACTION of the cost of hiring a full time staff! You are now free to grow and run sell your business. Because of the services that we can provide for our Franchisee's, we do not require you to have a commercial or retail location. This allows you to keep your overhead low and more money in your own pocket. 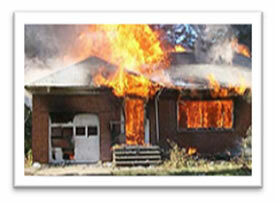 Through downturns in the economy and struggles in the Construction Market, there will ALWAYS be Insurance claims. Restoration is reliable, predictable, and profitable. In insurance your sales efforts go a long way! You will be marketing to companies that will provide you with ON-GOING work. When a contract is established with a company, you will be receiving a flow of work from that source as well as all other established contracts. You will not have to constantly search for a pipe line of one-time customers. Worried about Estimating a Flooring Bid? Wondering how you can possibly keep track of all of these jobs? Don't be! We have made sure to provide our Franchisee's with advanced Estimating and Client Management Software. It is the same software that is used by Lowes and Home Depot. All you have to do is put the materials and floor plan of the home into the system and it calculates the rest for you. We have taken all of the necessary percussions possible to reduce human error and keep your profits high. Do you need Medical, Dental, Life Insurance, 401K? Sometimes as a small business owner, it is hard to obtain these benefits. Not at Floor Restore! We make all of this and more easily available to our Franchisee's and their families.